While I'm idyllically wiling away my summer in India, I thought, why not try out as many Indian skincare and makeup brands as I can. By the way, send me some love over on Instagram (click here! ), I'm trying to post more often while I'm on holiday. Biotique is a brand I discovered during my University days and stayed with me when I started working. Honest and affordable, I've yet to try a dud from the brand. 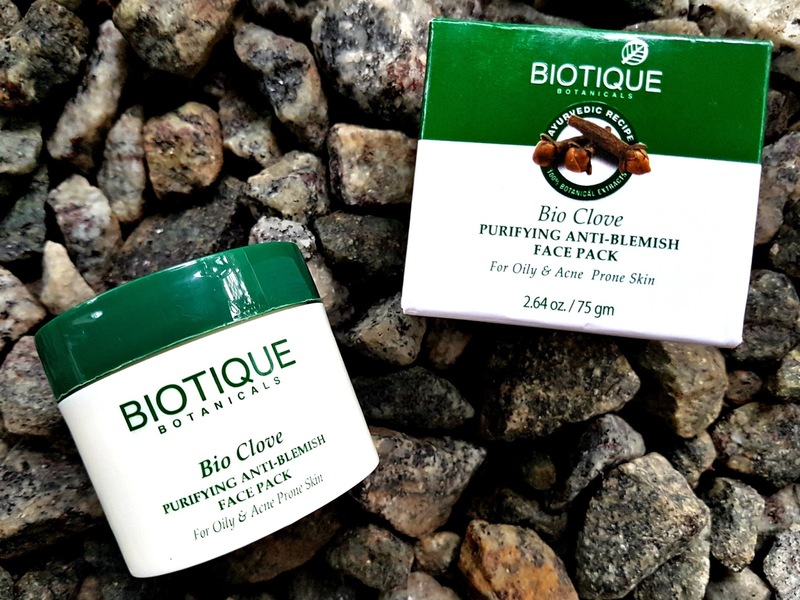 The Biotique Bio Clove Purifying Anti-Blemish Face Pack in particular used to be a favourite of mine and I picked this up to see if it still would stand up to my expectations. First off, I love how Biotique has revamped their packaging. The seal on the new outer cardboard box also ensures that you're getting a new fresh piece that no one has "tested" in the store. Its great when Indian brands redefine their image to compete with International brands. Provided that the products actually perform of course. Some brands love to hike up their prices to seem more "international" while still offering sub-par products, most Lakme makeup for example! Though I do have to say that Biotique needs to pay a little more attention to proof reading. Simple spelling mistakes on packaging can really cheapen a product. Speaking of cheap, this small tub (75g) will just set you back just Rs. 199! That's under 1KD per pot. But does it work? Bio Clove contains, well yes, cloves and wild turmeric, both which have antibiotic, antiseptic and antiviral properties and have been used in Ayryvedic medicine since pretty much forever. On initial application there was a slight burning sensation and lots of eye watering involved, but the stinging has been more and more tolerable with each use. Is my skin getting used to it? The stinging and heating action dissipates quickly though. There's a mild herbal fragrance to it which should also agree with just about everyone. The mask has a soft whipped texture and is easy to apply. It doesn't dry instantly so you have time to work while spreading it across your face. Dries completely in about 10-15 minutes and the instructions say to keep on for 20. The Bio Clove face mask claims to target and treat pimples, absorbs excess oil and purifies the skin. With use, I also feel it has removed my sun tan. No, it doesn't have bleaching properties and will not lighten your natural skin tone, but I feel it has done a great job at restoring my skin to its natural shade. Though not a miracle product, blemishes seem to have reduced in size over night and it sure has done an amazing job at absorbing oil. Another plus is that Biotique does not test on animals. Because of the initial burning sensation, I wouldn't recommend this for sensitive skin types. 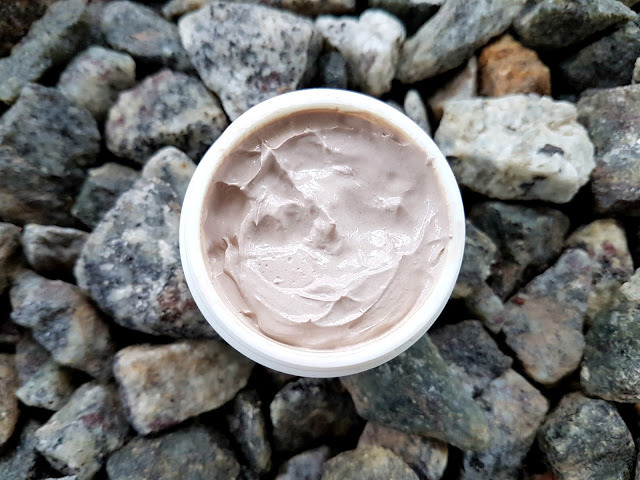 The Biotique Bio Clove face mask however is a great cheap and cheerful product and comes with my seal of approval, especially for us girls with acne prone and oily skin. I'm looking forward to trying out more from the Biotique range and can't wait to pick some more up. Next time you're holidaying in India, look out for Biotique.